MediaValet – Do You Need Dropbox or DAM? DAM vendor MediaValet have published an infographic outlining five questions to consider when using Dropbox versus a fully-fledged DAM system. Although some of the information is a little misleading (e.g. claiming that Dropbox is primarily focused on text documents when it supports over 30 file types covering everything from spreadsheets to audio and video), it may still serve as a rudimentary roadmap for guiding initial decisions concerning the capabilities of each platform. 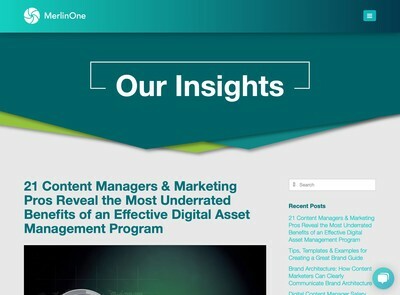 For a more creative case study, DAM provider Canto have posted an article outlining how their platform helped the world’s largest drum manufacturer Pearl to consolidate its media marketing requirements by drawing together its product data, images, artists and affiliations within a single application. The article highlights Pearl’s need to ease pressure from their IT team whilst transitioning to a digital content environment. An accompanying webinar is also available. Henrik de Gyor from Another DAM Podcast has released a podcast with Brad Boim from the NFL cable network. 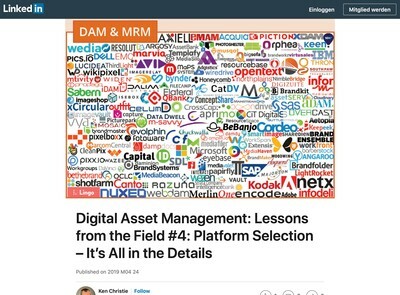 The question and answer interview provides an interesting insight into the inner workings of this enterprise scale MAM (Media Asset Management) system. Covering 15 years of evolution within the broadcaster’s organisation, including fairly detailed accounts of the technical processes involved, it’s a valuable glimpse into a real-world scenario that covers everything from metadata, storage and time-sensitive challenges to modern, large-scale media management workflows that incorporate AI and auto-tagging. 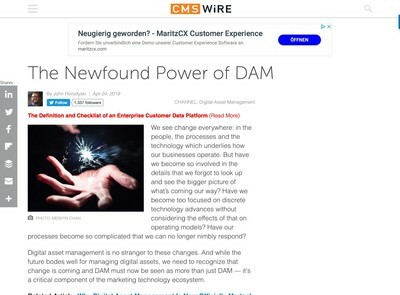 Following on from last week’s article, DAM vendor MediaValet have released part two of their series on DAM procurement. 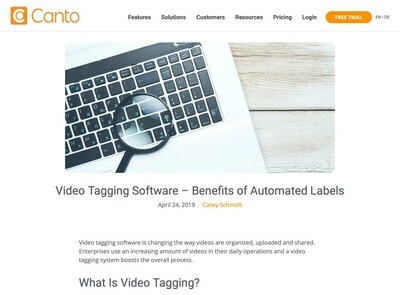 This article takes a look at the importance of scalability by presenting three scenarios that affect the volume of content, users and throughput of digital asset management systems. The two deciding factors that directly relate to scalability are speed and the suitability of the subscription model. It’s a worthwhile read and includes enough common-sense information to represent a decent starting point for those looking to size up their DAM requirements. Media Asset Management provider IPV have just announced a series of talks at the upcoming NAB show in New York in October. Alex Ferris, Head of Sales, will explore how their cloud-based MAM platform Curator is integrating with emerging AI technologies, facilitating interactivity between departments, and reducing inefficiency by editing in the cloud. A follow-up panel discussion will debate how users can gain a competitive advantage by embracing the latest industry trends. Thanks for sharing our Dropbox vs. DAM infographic! We’ve taken your feedback and given it an update to make it clear that Dropbox can handle a variety of file types, not just text files.